When it comes to prewiring your new home or business for all of the necessary components, it can be a lot to think through and configure. You have to determine what you want and where you want it, and then you have little wiggle room to change your mind once that decision has been made. At Audio Video Solutions, we recognize the stress that these kinds of decisions can place on property owners, and we are here to make your new construction project as easy to navigate as possible! When you are building a new property, whether it be residential or commercial, there is a lot of prewiring that should be done along the way. 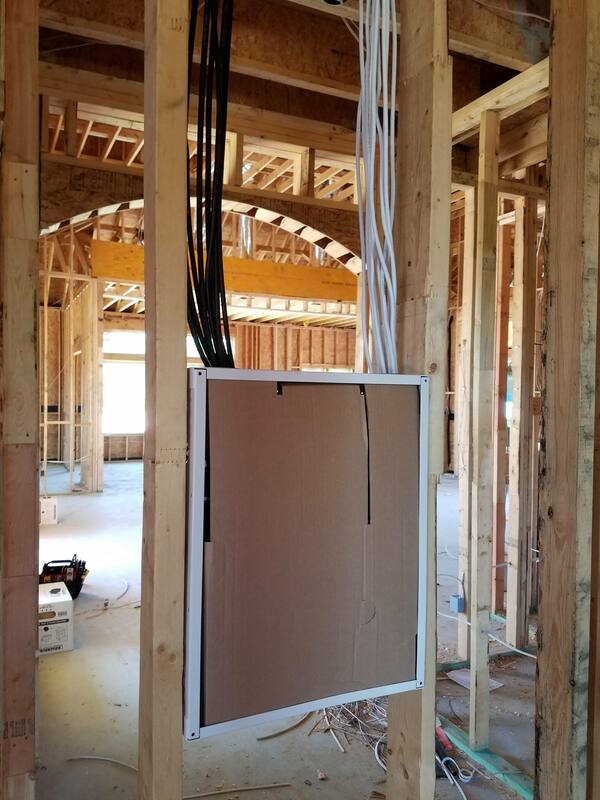 This allows the builder to know what needs to be implemented and worked around, and it allows you the aesthetic appeal of hiding all of the wires and connections to various devices and mechanics around your property that would, otherwise, be an eyesore to your guests. When you already know that you will need your sound system installed in a certain place or wish to have speakers placed throughout multiple rooms and hallways, you can make preparations for these elements ahead of time and save yourself the time and money of tending to it down the road. Why go to the trouble of drilling holes and cutting through walls and ceilings to make way for various audio visual components when you can literally build around those things? For example, if you hire Audio Visual Solutions to come in after the fact and install a home theater system or deluxe whole home audio system, we will have to go through your already finished and painted walls and ceilings to perform our work. The necessary augmentation of your property required to install this equipment may cause a wall or ceiling to have to be repainted in spots or modifications to be made in regard to hiding cords and electronic paraphernalia. Of course, when AV Solutions comes in to do our job, we maintain a very high standard of professionalism and will create as little mess and need for modification as possible. However, when you are working with a preexisting structure, then there are always limitations in place. That is the beauty of prewiring and installing any necessary media-related equipment on the front end! Our experienced and highly talented team of technicians would love to have the pleasure of working with you on your building project. We can help you make decisions on exactly which audio visual components you need in your home or business and where the equipment should be placed in order to have maximum results. Since we provide services that span from your basic home automation setup to the complexities of infrastructure and network cabling, we are well aware of all the potential that your new property holds! From cameras to speakers to everything in between, we will pair you up with the right equipment and the best configuration for your space. Call us today to learn more about all that Audio Video Solutions can do to enhance your business!